Just about everyone screams for their own delicious ice cream. Although we’re trapped in the dead of winter, we never stop dreaming up the best, and most delicious ice cream recipes. No matter if your favorite flavor is chocolate or rainbow sherbet, choosing the flavor of your ice cream is only half the battle. You have the berries, the chocolate chips, the gummy bears, and all kinds of other goodies, but how do you take them from a bowl of ingredients to creamy and delicious ice cream? 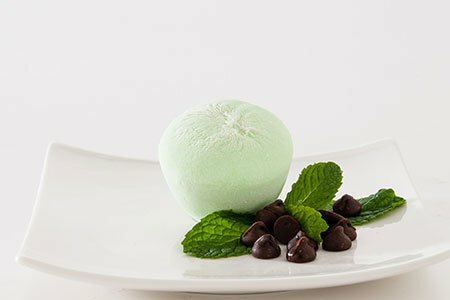 Here are four different ways that you can make your own ice cream that will rival the leading ice cream companies. This is one of the easiest, yet messiest ways to create your own delicious ice cream. If you’re strapped for time and don’t have any fancy kitchen gadgets, this is the perfect method for you. Step 1: Fill your ice cream base in one large freezer bag. Step 2: Place your bag full of ice cream in another, larger bag filled with ice and salt. Step 3: Make sure both bags are sealed super tight and start shaking. Step 4: Continue to shake the bags for about 10-15 minutes—the larger the bag of ice cream, the longer you shake. Step 5: After the 10 minutes is up, check on your ice cream bag to start digging into your homemade soft serve. If you’re not one to get your hands dirty, this might be the best DIY ice cream solution for you. Rather than using bags, you’ll be using bowls. Step 1: Fill a bowl full of your scrumptious ice cream base. Step 2: Place that bowl into a larger bowl filled with both ice and rock salt. This will keep your ice cream cold as it’s being blended. Step 3: Using your hand mixer, simultaneously freeze and churn your ice cream on a low blending setting. Step 4: Pop out the beaters and enjoy your freshly churned, homemade ice cream. If you’re looking for the ultra-simple, super healthy ice cream alternative, prepare to have your mind blown. With just a frozen banana and a food processor, you can create nutritious and delicious ice cream that major ice cream companies wouldn’t even dream of. Step 1: Place a bunch of ripe bananas in the freezer and let freeze overnight. Step 2: Peel and place bananas in the food processor. Step 3: [Optional] Add in your favorite flavors, such as chocolate syrup, mint, peanut butter, chocolate chips, cookies, sprinkles, Nutella—the list goes on and on. Step 4: Kick on your food processor and churn your frozen bananas until you reach a silk-smooth, rich refreshing ice cream. For the ultra, ultra lazy cooks, this DIY Ice cream solution is for you. With just two ingredients, you can create your own homemade ice cream. Step 1: Pour heavy cream into a mixing bowl. Step 2: Whisk or whip the cream using a single whisk or mixer. Step 3: Fold in sweetened condensed milk. For those nights when nothing sounds better than a bowl of your favorite ice cream, these four simple DIY methods will help you curb your cravings—and then some. Skip the grocery store run and run to the kitchen instead to rival your favorite ice cream companies with your own delicious creations.